Everyone's going banana when it was announced this week that Les Misérables will be staging in our own Philippine soil! That includes me, really. And knowing that the cast will include a Filipino crew, this is just SUPERB! Fantine will be played by West-end-based Rachelle Ann Go, who has been getting a lot of standing ovation all over the world. Joining her are Simeon Gleeson as Jean Valjean and Earl Carpenter as Javert. 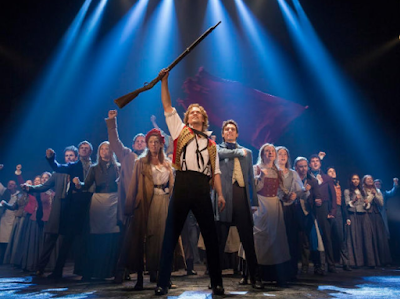 Get you Les Misérables in Manila ticket prices here. Not applicable on all shows. Less 20%. (with VAT) There are allocated seats for PWD, please visit a ticket outlet to purchase them. You can also inquire by calling TicketWorld for more details. Per REVENUE MEMORANDUM No.22-2004 of the BUREAU OF IMMIGRATION. Present VEC/VEIC card please. See you at the play!